The last episode of The Flash saw Barry go bye-bye as Harrison Wells’ explosion reproduction took a strange turn, transforming the former speedster into a bunch of fireballs and jettisoning him off into some as-yet-unexplained section of the universe. And if Joe/Not-Joe being weird in the preview for next week’s episode made you suspicious about what that place was, then you’ll be gobsmacked by newly released images, which have revealed a returning character that definitely shouldn’t be there: Michelle Harrison’s Nora Allen. 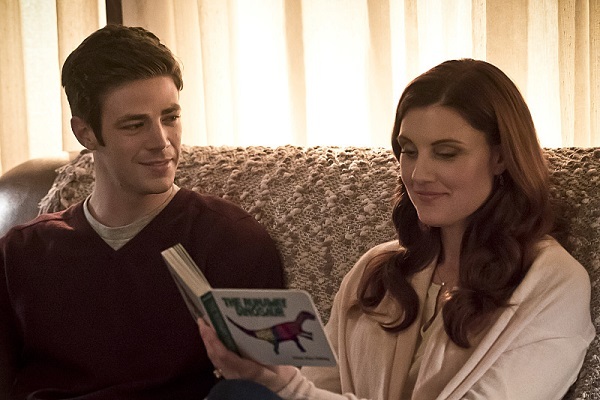 Yes, the long-dead Allen family matriarch is going to be around for Barry’s odd vacation from his normal Central City routine, and just two days after Mother’s Day. It looks like that section of the episode will partly take place in Barry’s childhood home, and this plane of existence apparently allows for the dead to come back and give adults a chance to experience parts of their childhood that were vanquished by time-traveling evildoers. Like this moment seen below, which gives us the title of the episode. 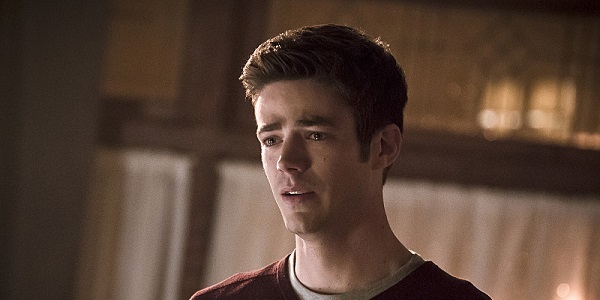 Nora’s death is inarguably one of the biggest events in Barry’s life, and it’s one that he kind of experienced as both a child and an adult. If he’s currently trapped in a strange purgatory or mental dysfunction, it makes perfect sense for both his lost mother and his father figure to be there. Some version of Henry Allen will also be present, and the images show Barry with both Henry and Iris at a cemetery, presumably looking at Nora’s grave. We all know that Nora was killed by Reverse-Flash Eobard Thawne-as-Harrison Wells, and it was an event that Barry was advised by his future self not to stop, lest it throw the timelines into an uproar. The last time Barry connected with her, it was one of the show’s most emotional moments, and I can’t imagine that the writers were shooting for anything less impactful here. I do hope there’s a surreal element to complement the feels, though. I’m definitely down to see Barry’s family line get explored more as the show goes on. The last episode also opened up a new avenue between the Allens and Jay Garrick, with Henry saying that his mother’s maiden name was Garrick. Is it possible that Nora will reveal a secret or two about her side of the family that will connect to either Earth-2 or some other unexpected place? “The Runaway Dinosaur” will be the first of possibly several episodes directed by Kevin Smith, and it’ll also usher in the return of Season 1 villain Girder. And we’re biting our nails down to the knuckles in waiting to see who the Man in the Iron Mask is when the funeral comes around in a few weeks. Life may be difficult for Barry right now, but Flash viewers are having a great time.